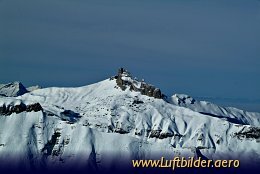 The ''Lobhörner'' are forming an ensemble of 5 lime stone rocks within the Jungfrau region in the Bernese Oberland. They are very popular in the free climbing scene. The highest of the 5 towery rocks, the ''Great Lobhorn'' is 2566m high.